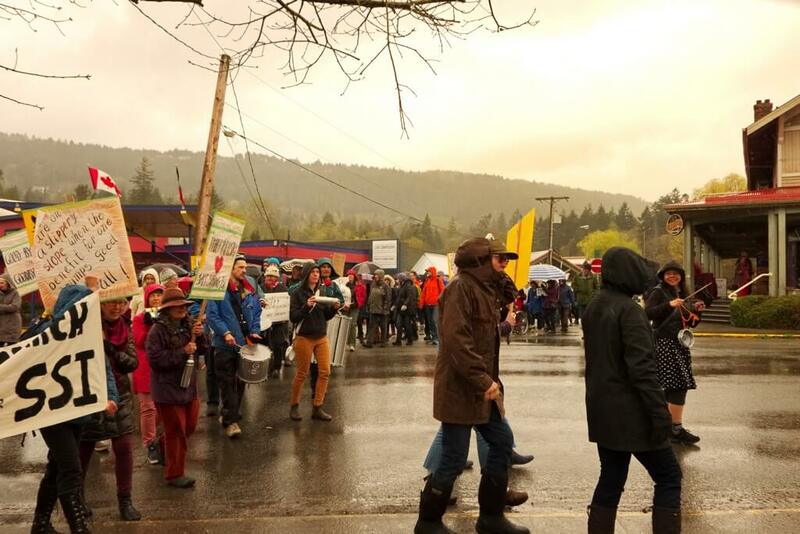 On Saturday April 6, 2019 Salt Spring joined 18 communities across BC taking action in support of better protection for our local and provincial forests. 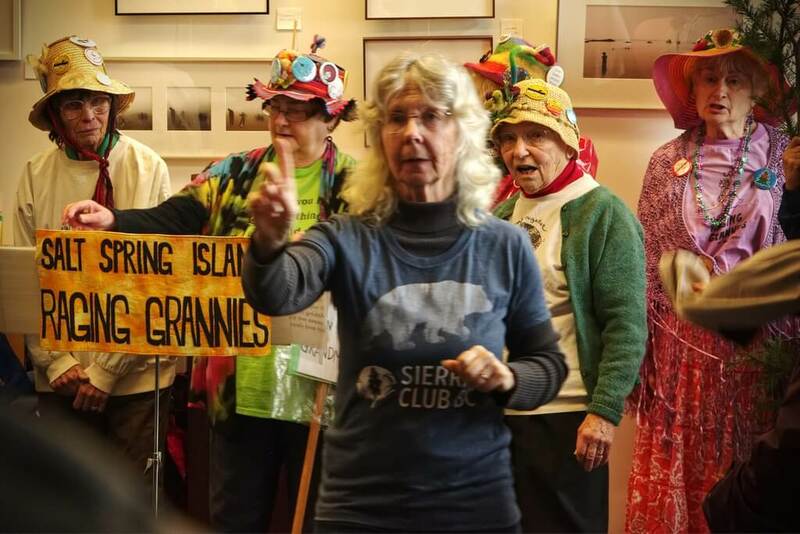 About 150 Island residents participated, first gathering at the Library and then marching through Ganges. 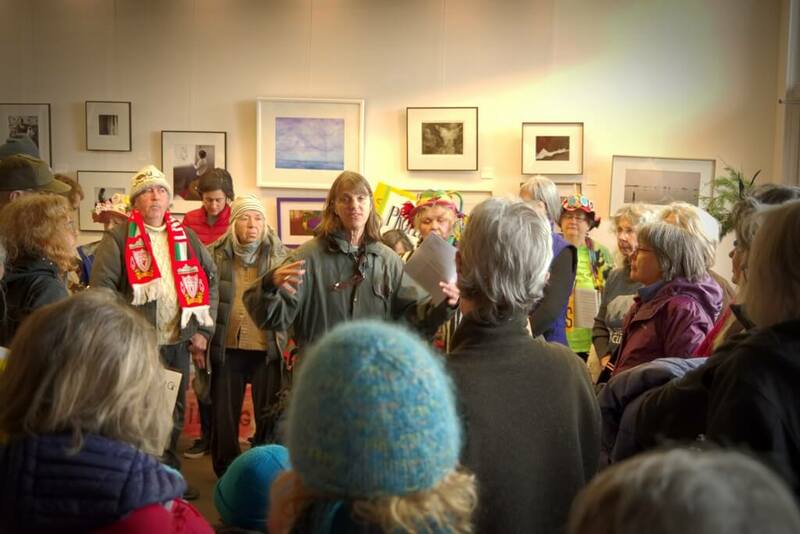 Joe Akerman opened the event and spoke about the long tradition of stewardship by Coast Salish people, and the cultural importance of maintaining old-growth forests. 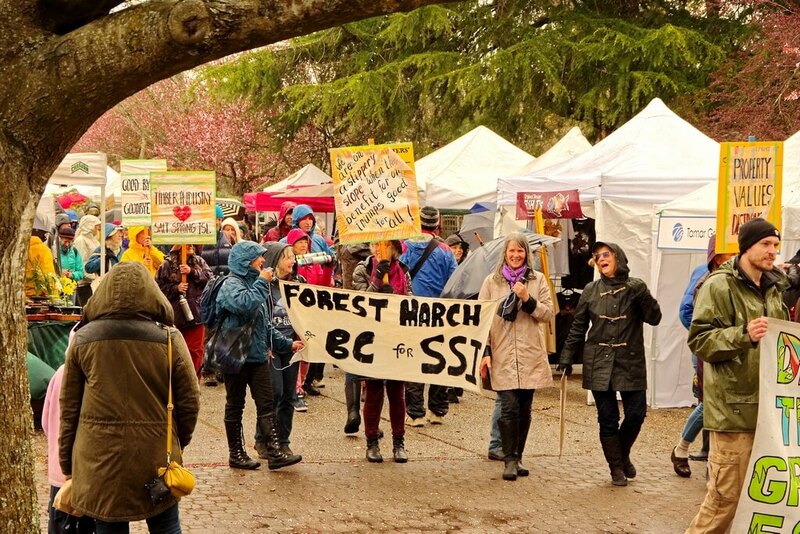 Briony Penn outlined the critical role forests play in safeguarding biodiversity and providing carbon sinks that mitigate climate change. 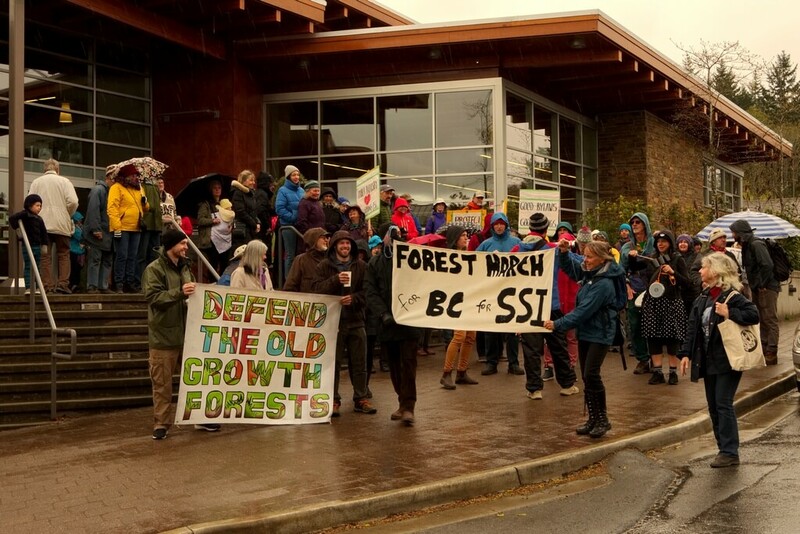 Despite decades-long efforts to press for reforms, BC legislation fails to adequately reduce the negative impacts of current forestry practices. 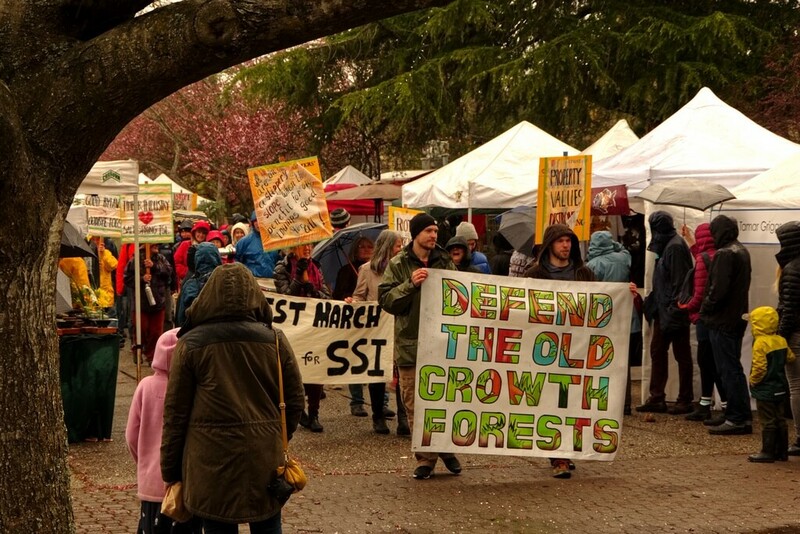 The message needs to be made clear to the current government – Change is needed now to save our forests! 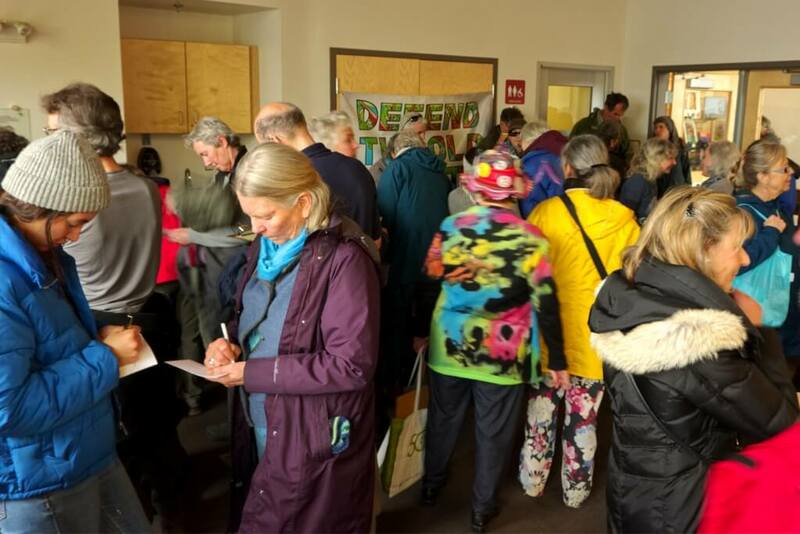 People then wrote personal messages on over 200 postcards to the Premier, Forest Minister and our MLA Adam Olsen, who offered to deliver them to the Legislature. 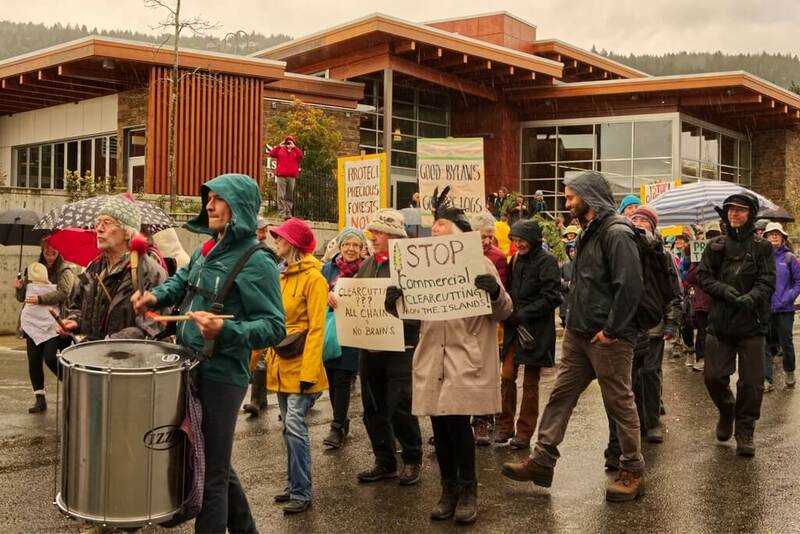 Everyone headed out into the rain, with signs and banners, and marched through the village and the market to Centennial Park Pavilion. 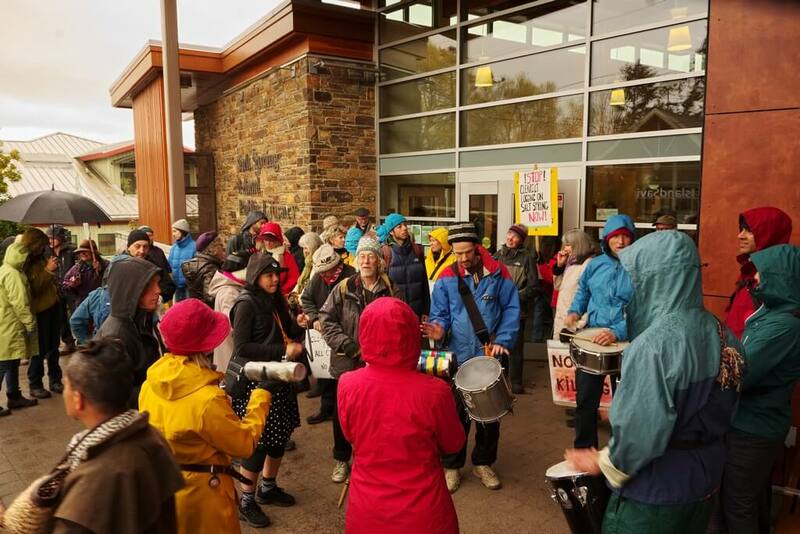 The local Samba band led the way with a lively, energetic beat and chants of “Save the Forests Now”. 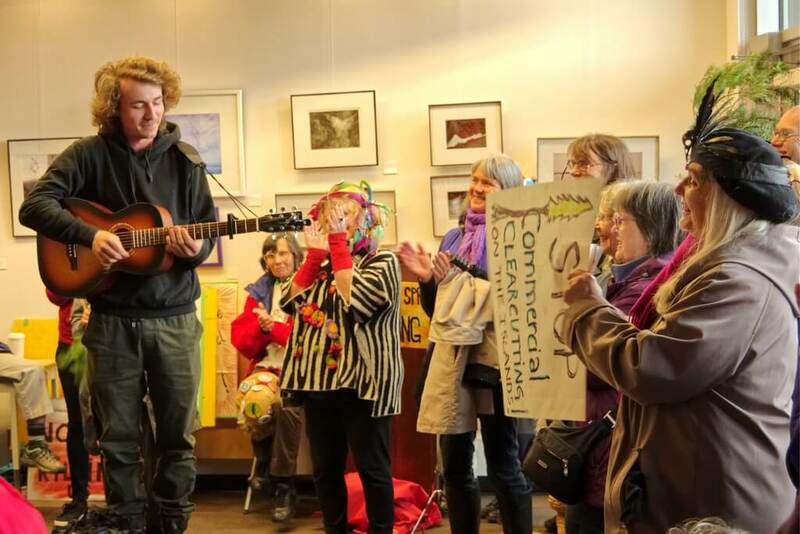 The rally finished with Luke Wallace leading another song, and thank yous being expressed to all the participants and organizers. 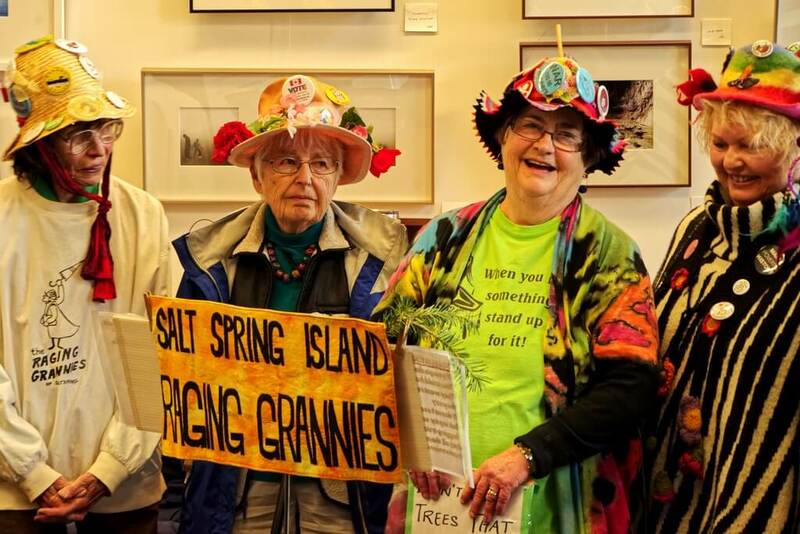 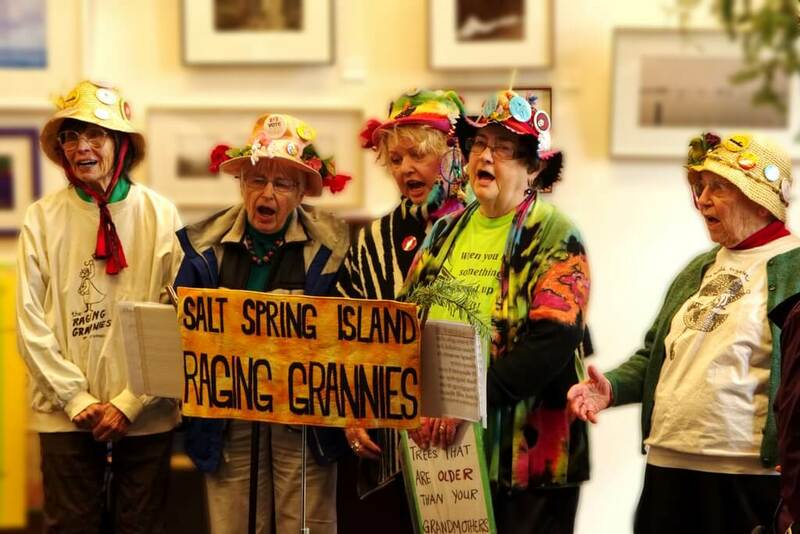 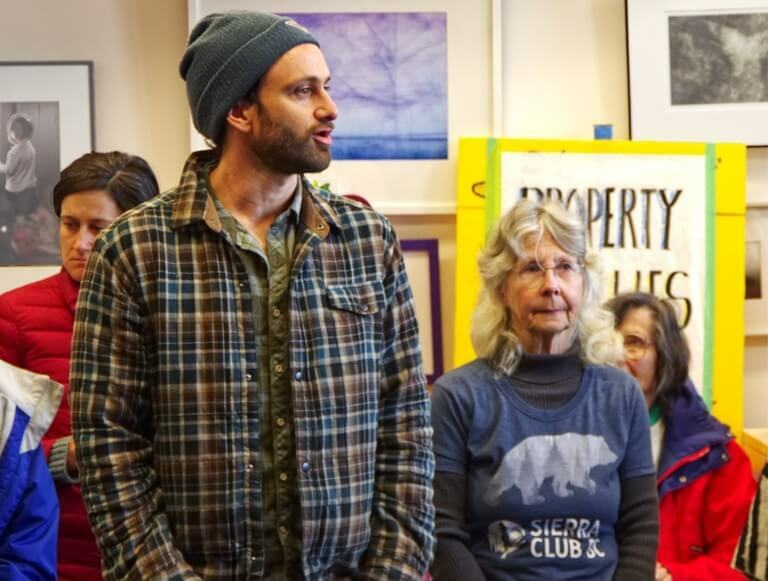 On Salt Spring we’ve called for suspension of logging on all non-forestry lands until proper regulatory policies are in place to preserve and protect our island’s ecosystems. 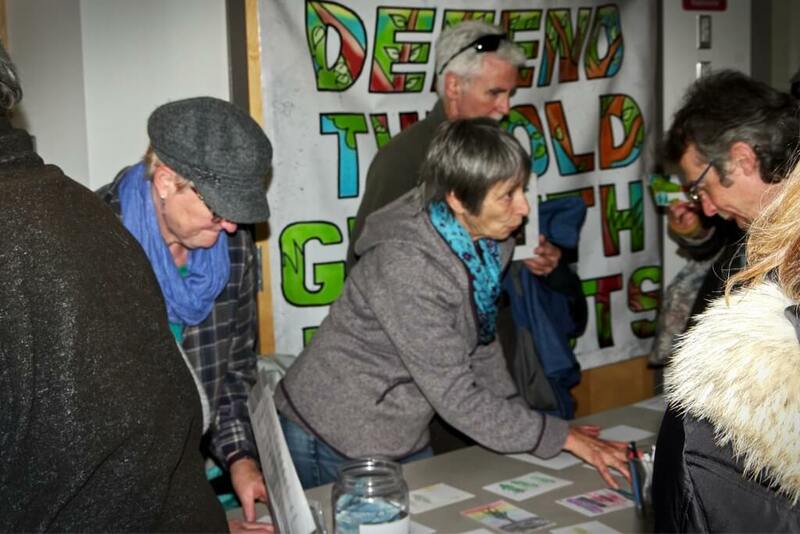 To offer support or obtain more information contact jdwilkin@telus.net – Photos courtesy of Derek Wilkinson.